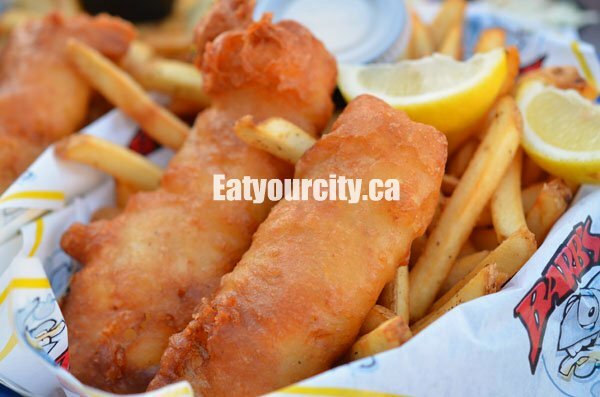 Eat Your City: Barb's Fish and Chips Floating Seafood Restaurant Victoria BC - Fish and chips on Fisherman's Wharf! Barb's Fish and Chips Floating Seafood Restaurant Victoria BC - Fish and chips on Fisherman's Wharf! After taking the scenic route and water taxing to Fisherman's wharf (accessible by walking or driving, but we did water taxing for fun), we were greeted by a HUGE line up for fish and chips at Barb's. Sitting alongside other houseboats with storefronts on the main deck, the wait in line was a scenic repast as there was plenty of families strolling, shopping all intermingled with the mouth watering scent of freshly fried fish and the smell of the sea. 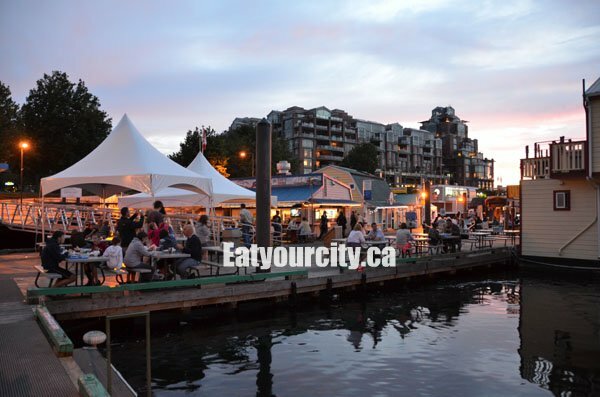 Barb's has been opened for 27 yrs which we discovered while chatting with a friendly couple from Liverpool. To avoid the ridiculous lineups, we headed there for a late dinner around 730pm, so we only had to wait about 20-30min in line to order our food and given a pager to let us know when our food was ready (about 20min later). The seafood/clam chowder was outstanding. 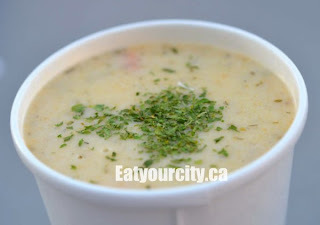 It was very creamy, smooth with a huge hit of cream, with big generous chunks of fresh clams... after you fish out all the seafood and nosh on it, you get pretty full... but don't forget the remainder of the flavorful chowder... *SLUUUUUUUUURP! * Nommy!